The 2017 Engine Pro Sprints On Dirt presented by ARP driver membership form can be downloaded by clicking the Competitor Info tab above, then selecting the form from the list of documents. Once downloaded, the pdf form can be filled out on a computer or printed and filled out by hand. A W9 (Request for Taxpayer Identification Number and Certification) form is included in the membership form. iiiiiiiiiiiii• All banquet payouts & awards. The 2017 Sprints On Dirt Rule Book, 2017 SOD Sponsorship Awards Requirements, and other documents are also available under the Competitor Info tab. The driver membership fee is $100. Please make your check payable to Sprints On Dirt. You can also email completed pages 1 and 2 with your W-9 to: director@sprintsondirt.com. Signature and payment will be due at first race. To learn more about Engine Pro, go to www.enginepro.com. For more information about ARP, go to www.arp-bolts.com. Follow SOD on Facebook at www.facebook.com/sprintsondirt. 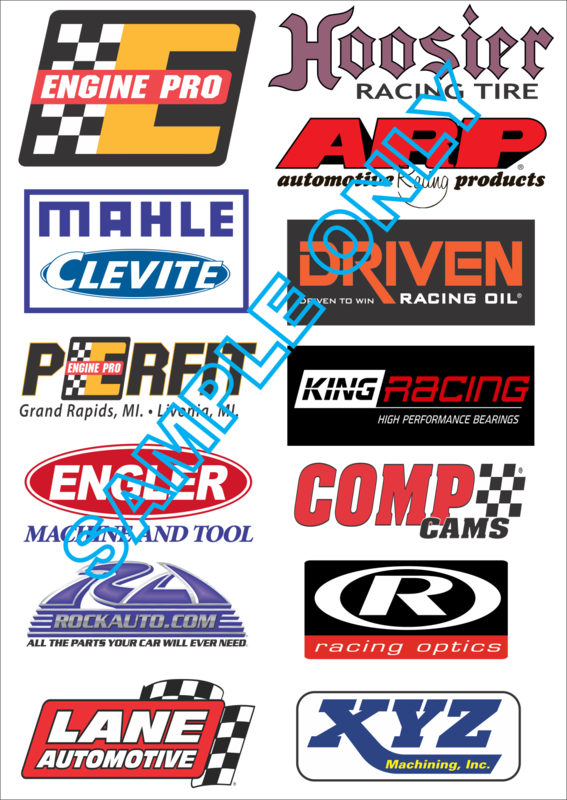 Engine Pro Sprints On Dirt presented by ARP is brought to you in 2017 by many important sponsor partners including: Engine Pro (Title Sponsor), ARP (Title Sponsor), Hoosier Racing Tire (Official SOD Tire), MAHLE/Clevite (Beyond Limits Challenge Sponsor), Driven Racing Oil (Battlegrounds Bash Sponsor), King Engine Bearings (King of Michigan Sponsor), The Perfit Corporation (Lucky Dog Sponsor), Engler Machine & Tool (Primary Heat Race Sponsor), COMP Cams (Primary Heat Race Sponsor), RockAuto.com (Primary Heat Race Sponsor), KSE Racing Products, and XYZ Machining. In addition, SOD contingency sponsors include: ATL Racing Fuel Cells, BR Motorsports, Diversified Machine Inc. (DMI), K2W Precision/Keizer Aluminum Wheels, King Racing Products, Kistler Racing Products, Maxim Racing, Motor City Racing Promotions, Racing Optics, Rod End Supply, Schoenfeld Headers, Seals-It, Simpson Racing Products, Walker Performance Filtration.